The Infinite Boundaries metastatic breast cancer retreats are held at Sundara Inn and Spa in Wisconsin Dells, Wisconsin. Participants enjoy guided discussions about issues specific to women with metastatic breast cancer, including dealing with difficult feelings, communicating with friends and family and living with advanced breast cancer. 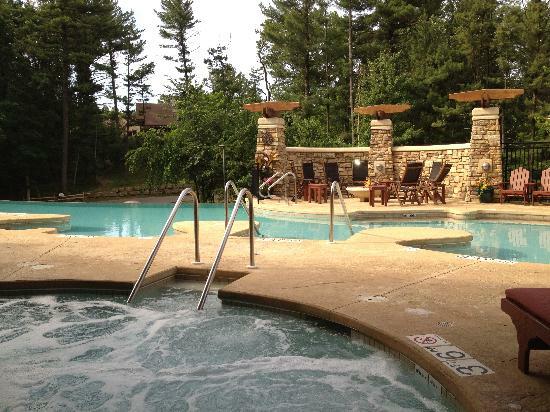 Beginning Monday afternoon you will be our very special guest at Sundara Inn and Spa in Wisconsin Dells, Wisconsin, for four days of quality YOU time! The retreat concludes by 11:00 a.m. on Thursday, so that you may return safely home before nightfall. We hope you will join us at our Infinite Boundaries retreat. It is a great way to take care of yourself. We truly look forward to meeting you. We ask each participant to pay a total $200 registration fee, and to reserve your place at a retreat we require at $50 non-refundable deposit. The remaining $150 is due prior to attending retreat. The actual cost to attend a retreat averages $1,500 per woman, and due to very generous donors, all women receive a scholarship of $1,100. Can I pay in installments? Yes, we will work with you to make it possible to attend a retreat. Is financial assistance available? Yes, Because women living with breast cancer often face considerable medical expense during and after diagnosis, Breast Cancer Recovery places a strong emphasis on ensuring that all women – regardless of financial standing – can experience an Infinite Boundaries retreat. Return to Klara Hartfiel, klara@bcrecovery.org.